An upgraded portable pipe milling machine for boiler tube panel fabrication or onsite fit-up work, especially where highly repetitive welding end preps are required, is being introduced by Esco Tool of Holliston, Massachusetts. The MILLHOG® Tube Weasel Air-Clamp End Prep Tool features a new 1.1 HP motor with a self-centering draw rod that rigidly mounts into a tube or pipe I.D. Designed for performing highly repetitive end preps, the pneumatic clamping mechanism has clamp ribs that retract from the mandrel automatically after milling to minimize friction and cycle time; speeding throughput up to 600%. 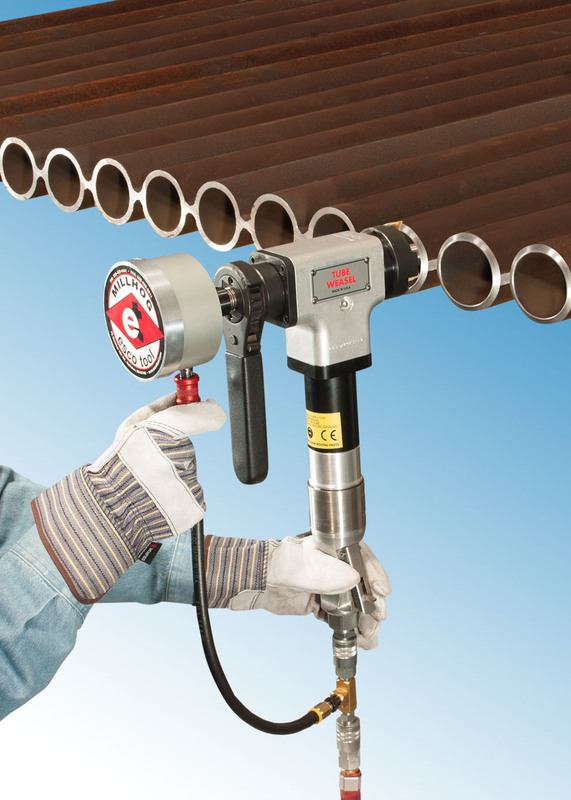 Reducing operator fatigue with air-assisted on/off attachment, the MILLHOG® Tube Weasel Air-Clamp End Prep Tool is ideal for tube and pipe beveling from 3/4” I.D. to 3” O.D. in applications where there are a lot of similar sizes requiring precision end preps for welding. Capable of beveling, facing, and boring simultaneously, the tool can be used in any orientation. The MILLHOG® Tube Weasel Air-Clamp End Prep Tool sells for $4,995.00 and is available for rent in the continental U.S.A.